Do you feel like all your money is being spent on bills? Well, you’re not alone! What you need is a complete overhaul of your finances so that you can spend more economically and have a little more left over at the end of each month. Get a diary and mark when all payments leave your account and make sure they’re being paid on time so that you avoid late fees. Setting up payments via Direct Debit will help you to ensure your bills are being paid on time every month. 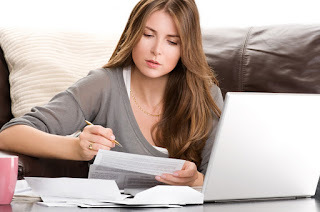 Next, get a recent copy of your bills and make a note of how much you spend on heating, electricity, insurance and any other type of household bill. Once you know how much you’re spending, you can get online and check out price comparison sites to see if you can save money. You may think that you’re getting the best deal as a loyal customer, but you could actually be entitled to excellent discounts or special offers by switching to another provider. Budgets are an important part of turning your finances around. By having a structured spending routine you’ll have greater control of how much you spend and how you manage your money. Keep a spending diary to see where you can make savings – for example you may be surprised by how much you’re spending on lunches or eating out and by making simple lifestyle changes and setting yourself a food budget, you’ll be able to cut back. You can do this for almost every aspect of your life – gym memberships, mobile phone contracts, nights out – even gift shopping. Always ask yourself if you can get what you want for less, set a budget, shop around and get a better deal. Setting a budget doesn't mean you have to miss out – it simply helps you to become a clever consumer who takes advantage of great deals. You may not be able to save large amounts of money right now but you could save a little each day or week and get a saving pot underway. For example you could save £1 a day for Christmas. By the time the festive season rolls around again, you’ll have a nice little stash of cash that will help to make your situation less of a strain. Without even trying you could have over £300 to spend on the kids’ presents or a shopping trolley full of delicious food. If you’re trying to repay your credit card, make sure you switch to a 0% APR rate so that you can pay off what you owe instead of interest accumulating on your purchases. Take the time to do your research and read the small print and make sure you’re not going to be charged for transferring balances. Just make sure you avoid building up anymore credit and you’ll be able to repay the total amount owed in less time. By ensuring your property is properly insulated, draughty windows are covered correctly, electrical appliances are unplugged when not in use and the thermostat is turned down, you’ll be able to cut spending on utility bills ever year. By making small changes to the way you live, you’ll be surprised by how much you can improve your finances. Start to make changes now and record your progress as you go. By the end of the year, you’ll be able to see how much your hard work has paid off. These tips are all very useful, but for me the most important tip that everyone should do is setting up and sticking with our budget because that where everything starts.